You don’t need a diet plan. You need a health transformation—from the inside out. For more than 20 years, author William Sears’ advice has been trusted by millions across the country, and around the world. 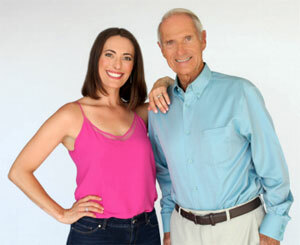 Now, along with his daughter Erin, a Health Coach and fitness instructor who went through her own transformation, losing 70 pounds and radically improving her health, Sears turns his science-based guidance to creating better health for everyone. 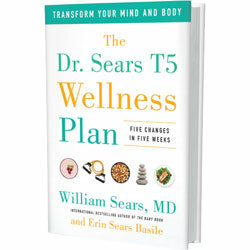 The Dr. Sears T5 Wellness Plan is a book for all ages and all ailments. Decrease inflammation, protect your brain and heart, strengthen your gut, balance your hormones, and the mother of all health tips: teach your body to “make your own medicine™”. The Dr. Sears T5 Wellness Plan’s five-step, five-week mind and body jump start field-tested by the authors in their medical and health-coaching practices—changes your body’s biochemistry to help you feel better, look better, and enjoy the New You! From its lively illustrations to motivating transformer testimonies, T5 is fun to read and fun to do—which means you’ll stick with it. Your mind and body will thank you. You will thrive on T5!